Choose our efficient and professional equipment repair services so you can get back to work faster. For reliable, high-quality service, choose Power Tech Equipment Repair for all your repair needs. 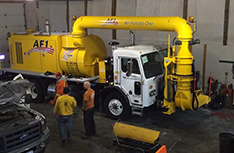 Power Tech Equipment Repair provides reliable and professional quality construction equipment repair, hydraulic repair and aerial platform repairs. 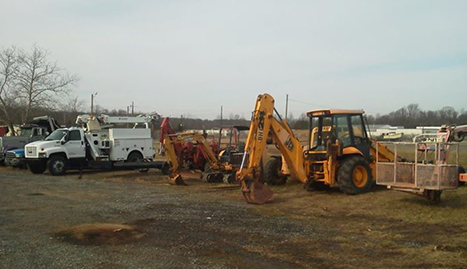 For over 20 years we have been providing excellent, efficient service to construction companies near Elkton, MD. 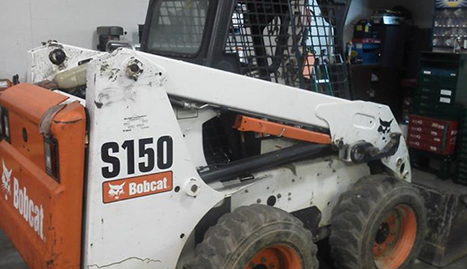 Those years of experience mean that not only can we repair nearly every make and model of construction equipment, including dump trucks, generators and forklifts, but also that we will always repair equipment safely and professionally. If you need a construction equipment repair, we have a full team who can get even your heaviest equipment ready for work again quickly and safely. Whether it’s a basic tune-up or heavy duty repair, our construction equipment repair service is reliable and professional every time. Trust our experienced team to get your equipment working at its best so you can get back to work. • Hi Reach Fork Lifts, ETC. 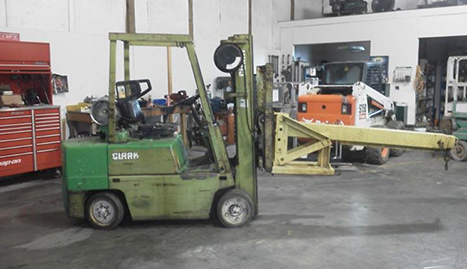 We also repair hydraulics, from a small single lift to large factory-type hydraulic setups. If you work with cars, safe and functional hydraulics are an absolute necessity. Our hydraulic repair service will ensure the safety and security of your equipment, so you can make the most of it. We do our best to provide excellent vehicle equipment repair because we understand how precious a vehicle is. In addition, we offer aerial platform repairs to ensure the safety of your employees and clients. Aerial platform accidents can cause serious personal injury and property damage, so it’s much better to repair a potential problem before it even arises. We have many years of experience dealing with large equipment like aerial platforms, so we will complete repairs quickly and securely. 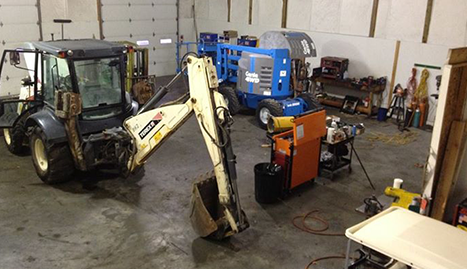 For construction equipment repair, hydraulic repair and aerial platform repairs, choose Power Tech Equipment Repair for quality repairs and experienced repair mechanics. In this industry, having your equipment function at its best is crucial to a job well done, and we are here to offer the best repair services for all construction equipment. Call us with questions or a repair job and we will get started on your repairs immediately.